The concept of disability over the last few decades has been defined in different ways, while the policies implemented demonstrate not only at the societal level how society approaches the difficulties of a person with a disability, but also at a symbolic level: how the person’s position in social development is determined and how the value system and beliefs surrounding the issue of disability are shaped. 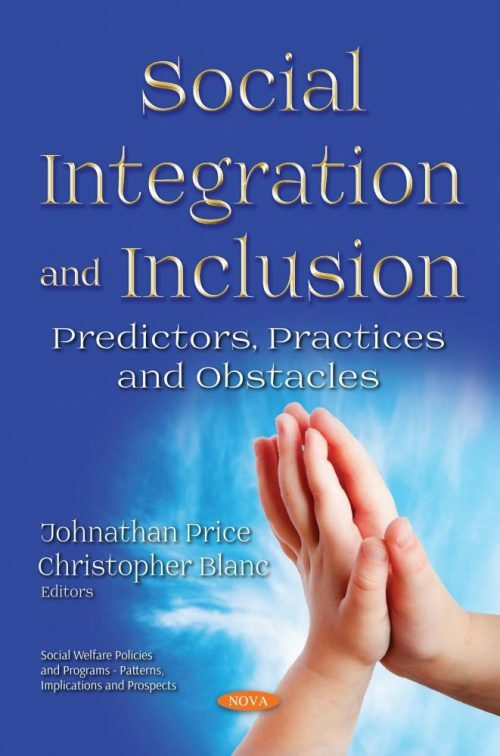 In this collection the authors explore educational integration framework and social inequalities in the context of the economic crisis that has plagued Greece over the last eight years. Next, based on the nationwide database of the Programme for the International Assessment of Adult Competencies, the authors investigate the correlation between three cognitive skills (literacy, numeracy and problem solving in technology-rich environments) and three indicators of labour market integration of Former Soviet Union immigrants in Israel: income, job autonomy and job satisfaction. A case study was also conducted at the Institute of Psychology and Education of Kazan Federal University with the purpose of theoretically substantiating and experimentally verifying the forms and methods of volunteering as a means of preparing future educators to work with children at risk. Lastly, the authors begin to problematize the social dilemma paradigm by challenging the assumption that partners view the costs and benefits of resource pooling uniformly. A survey of 54 senior and 54 novice alliance managers about pooling 10 kinds of resources in alliances finds evidence of value asymmetry, where senior and novice managers perceive the costs and benefits of resource pooling in alliances differently.